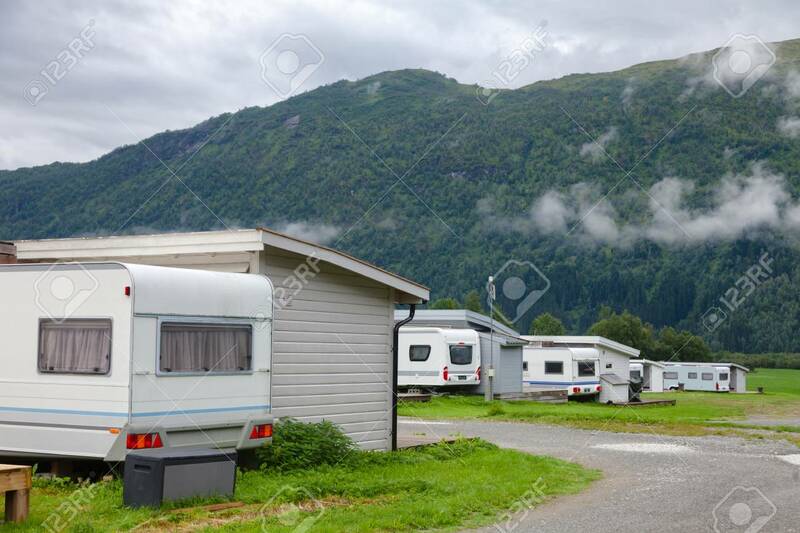 Grey Wooden Cabins With Parked Camper Trailers At A Campsite In Norway, Scandinavia. Cloudy Moutain Is Seen In Background Lizenzfreie Fotos, Bilder Und Stock Fotografie. Image 118216747.